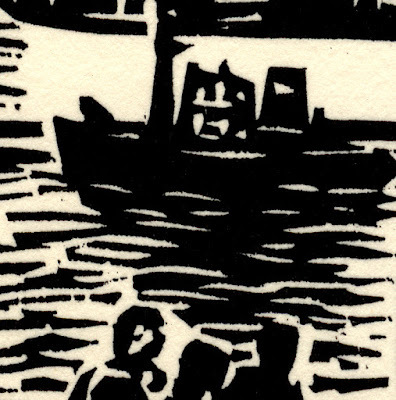 "Hafenarbeiter" [Longshoremen/Stevedores], 1964, from "Das Gesicht Hamburgs"
Condition: Strong impression signed by the artist in pencil, in pristine condition with blank verso. 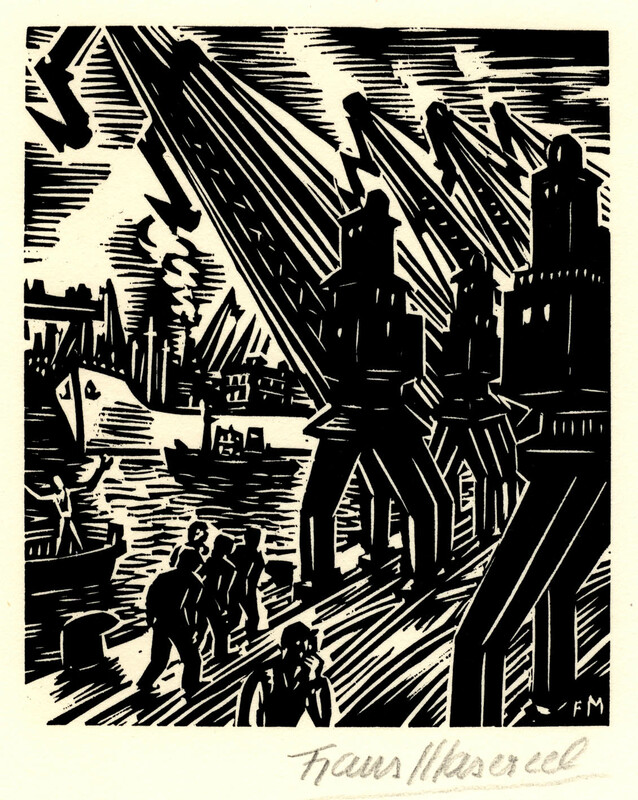 I am selling this original woodcut by one of the most important graphic novel (i.e. wordless book) illustrators for AU$135 in total (currently US$98.28/EUR86.90/GBP68.42 at the time of posting this print) including postage and handling to anywhere in the world. 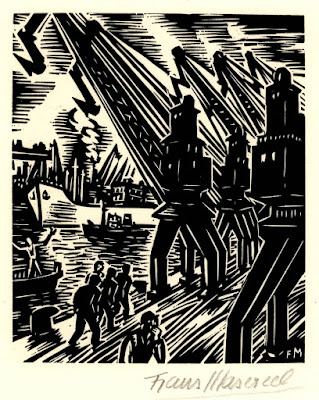 Masereel's woodcut prints are not designed to charm viewers with finely rendered details or dazzling technical effects. Instead, his prints are all about visual communication with as few chiselled strokes as are necessary. 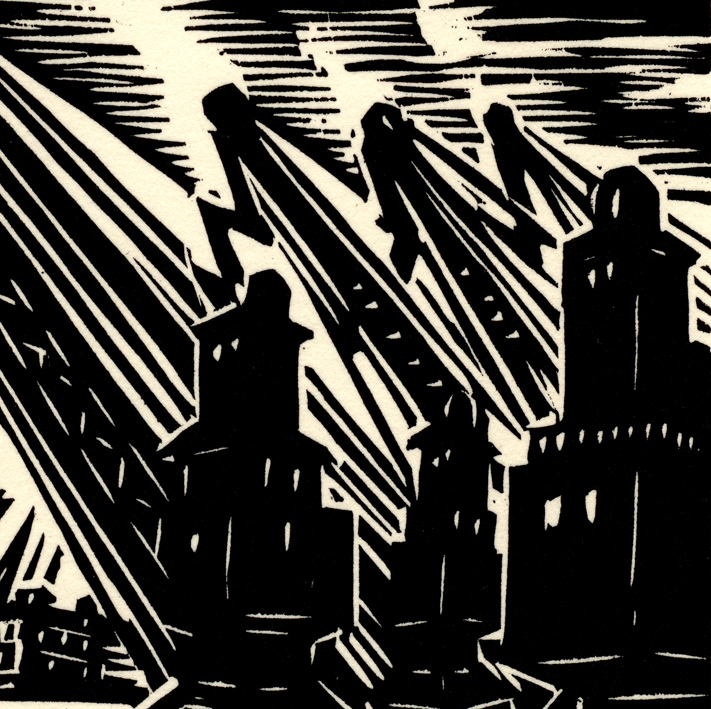 Although this assessment may suggest that Masereel's prints are therefore crude in concept and execution this is far from the truth; in fact, the converse is true. 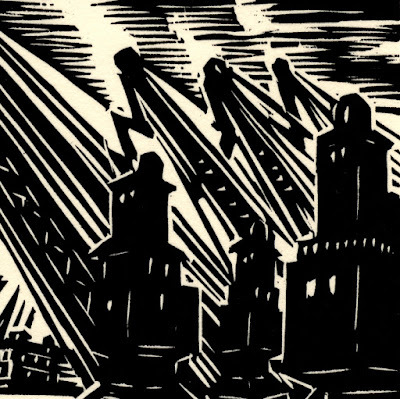 Masereel's prints are made with a clear eye to the essential pictorial elements needed to express his dark vision of the world. 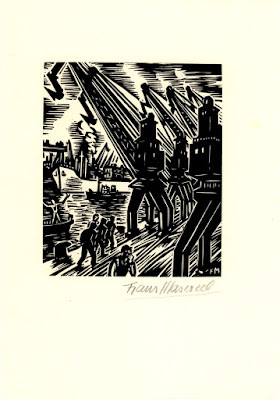 Moreover, the technical knowledge involved in the execution of his prints is likewise highly tuned to the sole purpose of projecting meaning. 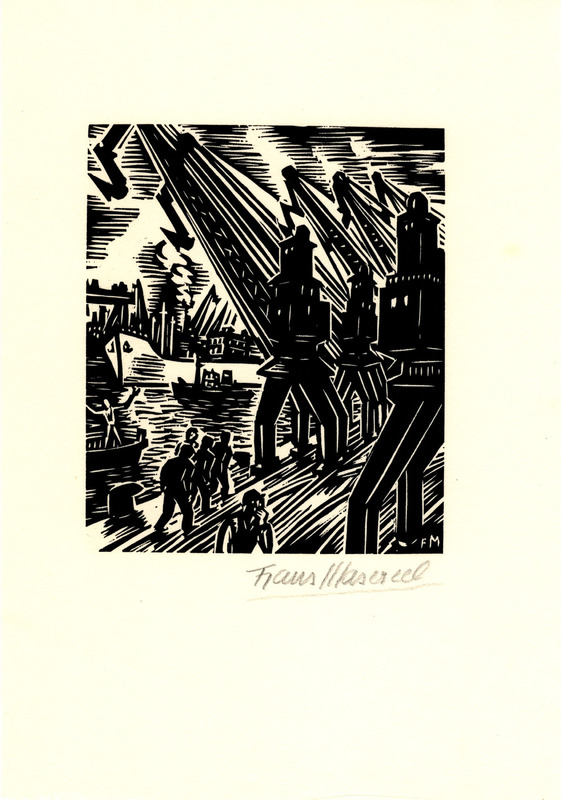 In this print, for instance, Masereel portrays smoke rising from the tugboat, shown towards the centre of the image, as a complex of curving lines angled to match the angles of the crane hooks suspended above. 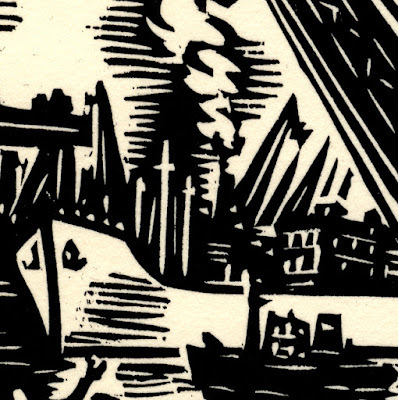 Regarding his treatment of water, he uses both positive lines (i.e. black lines) when the ripples are in the light and negative lines (i.e. white lines) when the ripples are in shadows.